What are you plans for December 21, 2012? Ah, December 21, 2012. 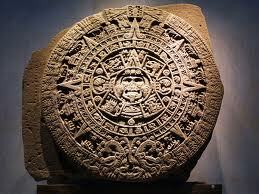 This is the date that the Mayan Calendar ends and it is foretold that it will be the end of an age. What does that mean, exactly? The Mayans were a civilization that inhabited southern Mexico and parts of Central America. They flourished for about 700 years, but declined and were just a shadow of their former selves by the time the Spanish arrived in the 1500s. Spanish priests were outraged by the Mayan practice of human sacrifice, so they made a concerted effort to erase the Mayan civilization from the face of the earth. They did a pretty good job, and we know little about the Mayans and what they thought might happen at “the end of the age” they predicted. A lot of these are impossible to disprove; some, like magnetic pole reversal, asteroid impacts, and solar flares, actually occur from time to time and have been documented. 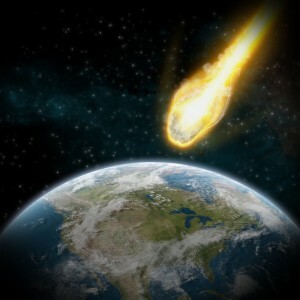 The question is, what would be the likely effect of one of these events on any particular day, such as December 21st? A magnetic pole reversal is thought by scientists to take several thousand years to complete. Climate change is certainly occurring, as it has occurred for millions of years, but what effect would it have on any one day? An asteroid impact could happen suddenly: Asteroid near-misses occur every year (2 this year so far) and there will be another near-miss of an asteroid bigger than a football field in February 2013. We are constantly bombarded with solar flares, and a major one could, indeed, wipe out a lot of technology at any time, but would affect only a part of earth. A nuclear event could have regional consequences, but the end of the world? Not as likely as it used to be. So, perhaps the Mayans really believed it would be the end of an age? Certainly, the American Century might be coming to an end. The U.S. is losing influence and friends, and other nations are becoming stronger. We are economically weaker than we were just a few years ago, and we are in danger of losing our prominent position in the world today. I don’t see any way that we will turn this around in the near future. One or all of the above events could come to pass one day, but let’s get back to the question: What will we be doing on December 21, 2012? The answer is: We’ll be doing what we always do: writing about preparedness, checking email, adding to our supplies, and connecting with other like-minded folk. Why aren’t we hiding under the table on December 21, 2012? Because the Mayans didn’t know about Leap Years, and, therefore, the Mayan Apocalypse actually occurred around July of 2011.